Since the Belgians opened the sluice gates on the 27th, the flood waters by the river Yser have been rising. Now at last the water level forces the Germans to halt their attacks on the Belgians. The battle of the Yser is over. The Belgians have held their end of the line. 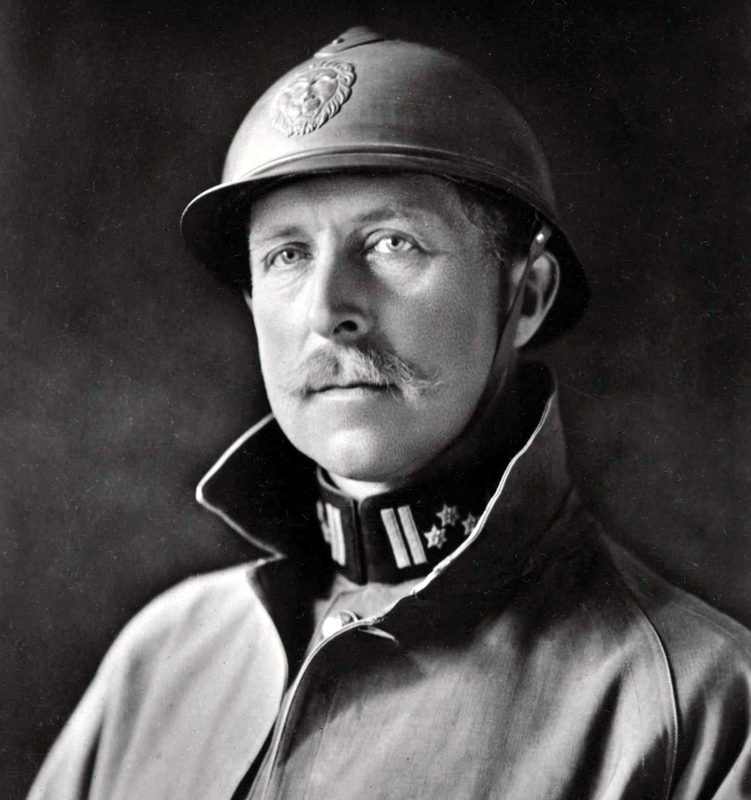 Further south, Germany’s Falkenhayn continues to fling his men at the mainly British defenders of Ypres. Today, at great cost, they achieve an important victory. 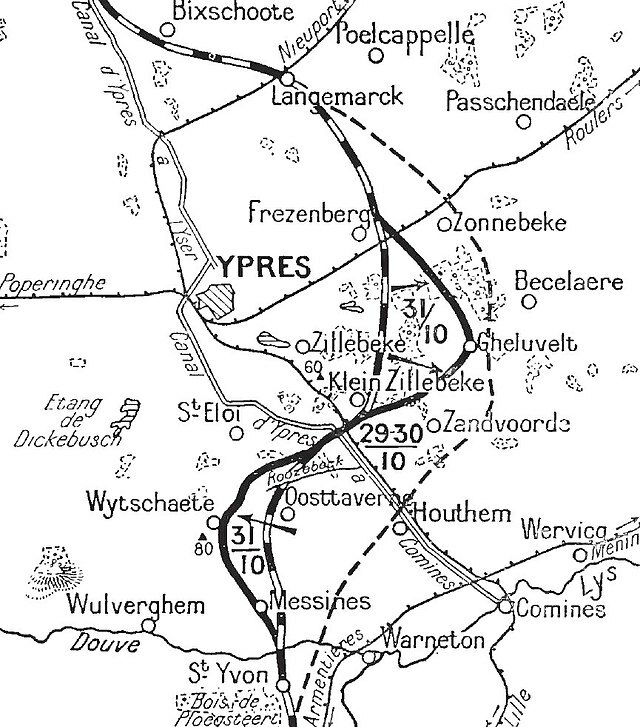 They manage to take the village of Messines, to the south of Ypres, and hold it against desperate counter-attacks. Messines is on a ridge over looking Ypres. From there they can pour artillery fire down on the British. Germany’s Admiral Souchon is now the commander-in-chief of the Turkish navy. The nucleus of that navy are his two ships, the Goeben and Breslau, now renamed as the Yavuz Sultan Selim and the Midilli respectively (for convenience their original names will continue to be used here). The two ships are still crewed by Germans, though they all have fancy new Turkish uniforms. 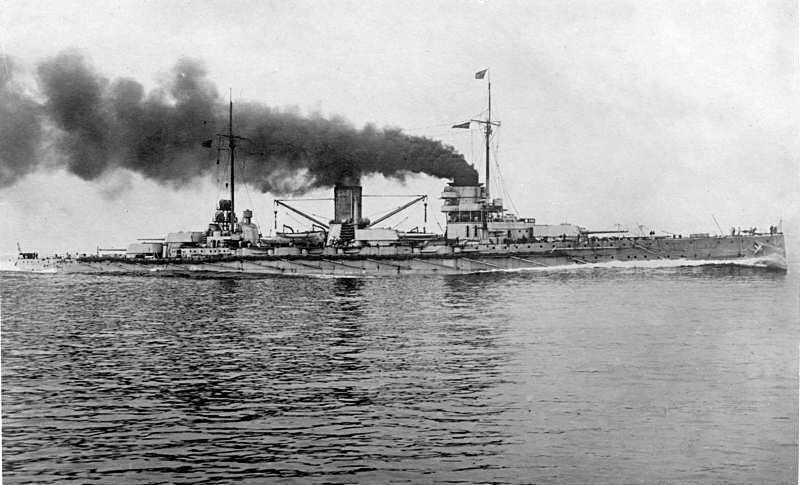 The presence of the Goeben in the Black Sea changes the naval balance there; the Russians have nothing to match this modern battlecruiser. Yet the Ottoman Empire has not yet joined the war. Until today. For now Souchon leads his two ships and some other vessels of the Turkish fleet to attack the Russian ports of Odessa, Sevastopol and Novorossiysk. The Turkish flagged vessels blast the ports, destroying Russian shipping and devastating shore targets. Souchon may be acting on his own initiative. Or perhaps he is operating in collusion with Enver Pasha and other members of the Turkish government who favour entering the war. 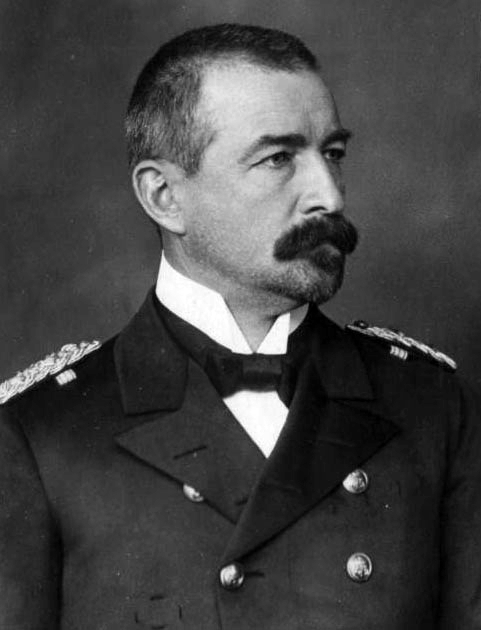 In August Karl von Müller detached his ship the Emden from the German East Asia Squadron of Admiral Spee. Müller took the Emden to the Indian Ocean and there has been preying on Allied merchant shipping. Today he pulls off a particularly bold stroke. 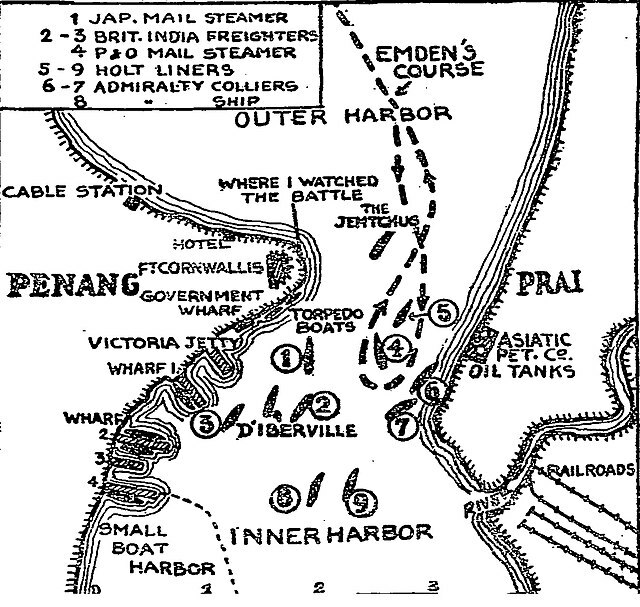 Disguising his ship so that it looks like a British cruiser, he sails the Emden into the British port of Penang. There he sinks a Russian cruiser that happens to be in harbour and also sinks a French destroyer that attempts to block his escape. Müller takes onboard survivors from the French ship and sails off into the Indian Ocean. Remember Gavrilo Princip? He was the Bosnian Serb who shot Archduke Franz Ferdinand and his wife on the 28th of June. 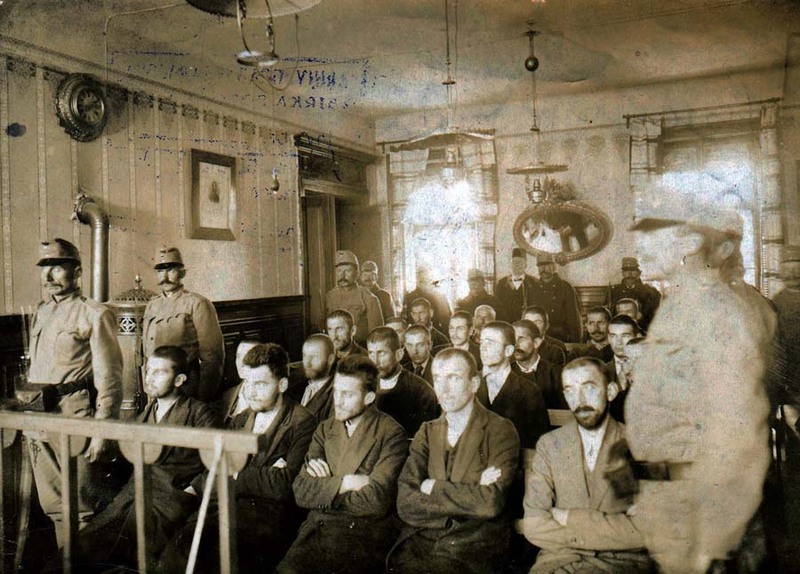 The trial of Princip and his alleged conspirators began on the 12th of October and now the verdicts and sentences are announced. Princip is of course found guilty, but under Austro-Hungarian law he is too young for the death penalty and is sentenced to 20 years in prison. Nedjelko Chabrinovitch, who threw a bomb at Franz Ferdinand’s car, receives the same sentence as he is also too young. But other convicted conspirators are sentenced to hang, including Danilo Ilitch who had proved so cooperative under interrogation. Britain’s control of the sea rests on its mighty fleet of battleships. It has more of these huge vessels than Germany and so can keep the German fleet bottled up in port, strangling the enemy’s maritime trade. But Germany has ways of striking back at the British fleet. U-boats are one threat to Britain’s maritime dominance, but for now a more significant threat is the mine. Today German mines laid off the north coast of Ireland claim the Audacious. 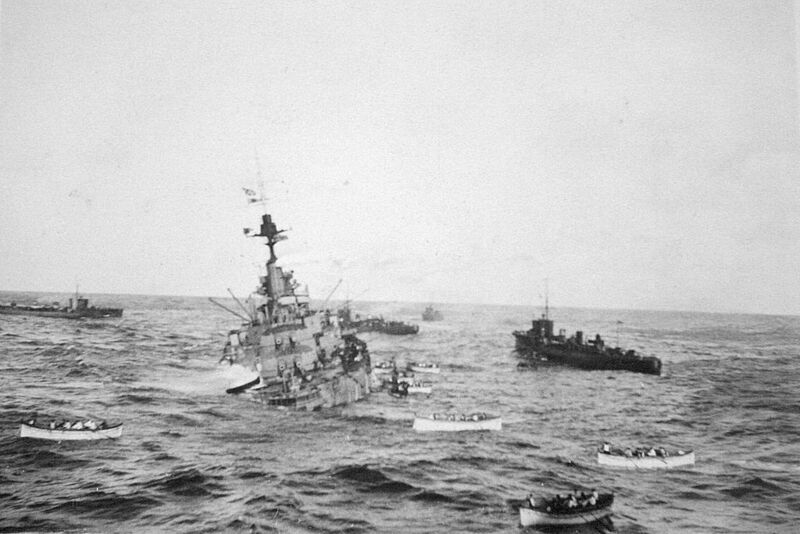 The battleship hits a mine and sinks. The crew evacuate and are rescued by other British warships and by the ocean liner Olympic, sister ship of the famous Titanic. The loss of the Audacious is considered so disturbing that all mention of it is banned from British newspapers. 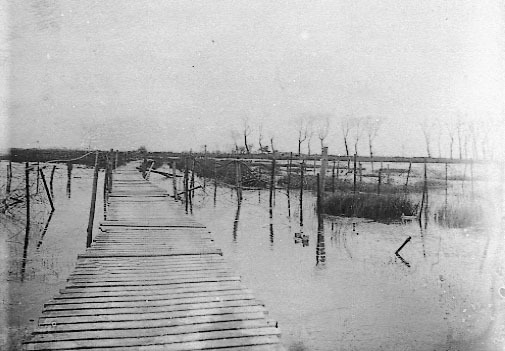 The Belgian army has been pushed back almost to the French border and is trying desperately to hold the Germans at the Yser river. But the Germans have managed to establish themselves on the west bank. The Belgian situation is desperate. If they do not retreat, the Germans will overwhelm them. 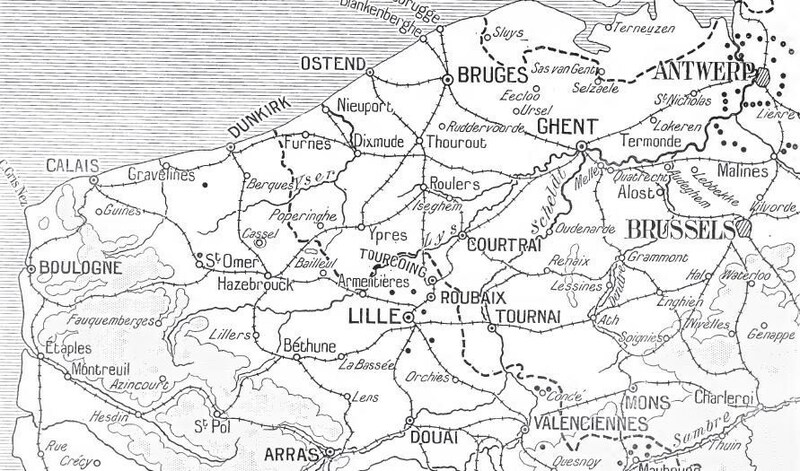 But King Albert forbids any further withdrawal; the army will stay in Belgium and fight to the very end. The times are desperate and they call for desperate measures. Albert enlists the aid of Neptune, ordering that the sluice gates at Nieuport are to be opened. The flood waters will defend what is left of free Belgium. Earlier this year The Atlantic had an interesting photo story about animals in the First World War. These obviously included horses, used both by cavalrymen and as beasts of burden, but also dogs, pigeons, and other animals fulfilling a variety of roles. 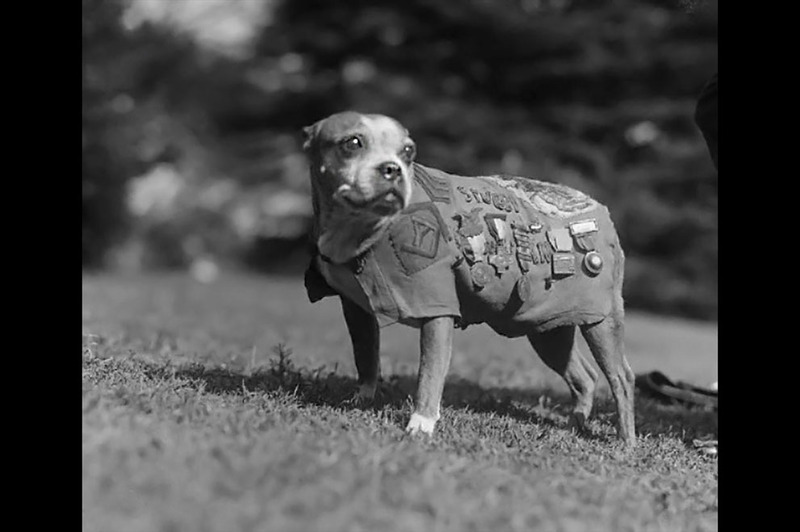 One of the dogs of the Great War was Sergeant Stubby, a Boston Bull Terrier who served in the US military and was promoted to the rank of Sergeant. Initially a mascot, Stubby went on to help find wounded soldiers and warned his comrades of impending gas attacks. You can see the whole article here. Like their human counterparts, the animals of the Great War suffered injury and death, and the pictures reflect this.